Everything has an expiry date so are the shoes. There comes a time when our lovely shoes pairs are so old and dirty that we decide to replace them with the new ones. But even on the purchase of the new ones the old shoes and sneakers are there burdening the shoe racks and cupboard cabinets. So here we have some really cool suggestions for you all to breathe a new life into your beloved sneakers or trainers and use them again with same love. 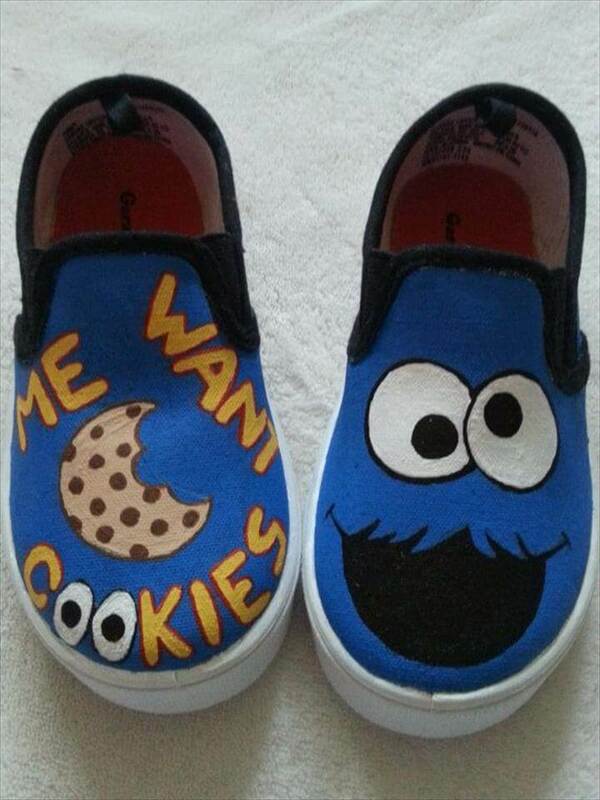 With a little effort and some crafting material you can give an awesome makeover to your shoes and sneakers. Don’t worry if you are not a regular crafting person because this is no complicated technique involved in these shoe re-styling ideas. 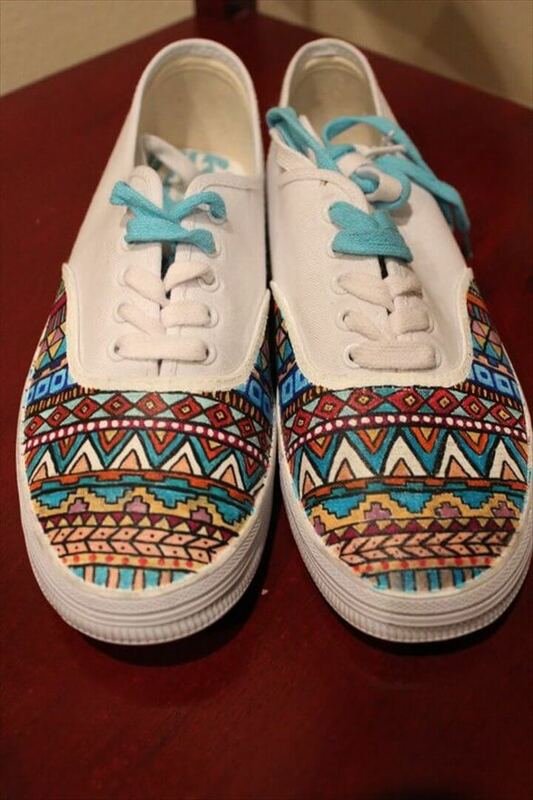 So please check out these acute 12 gorgeous and hand painted shoes and sneaker ideas. Grab your old and worn out shoes, some lovely colored paint and the paint box to start this interesting makeover session. 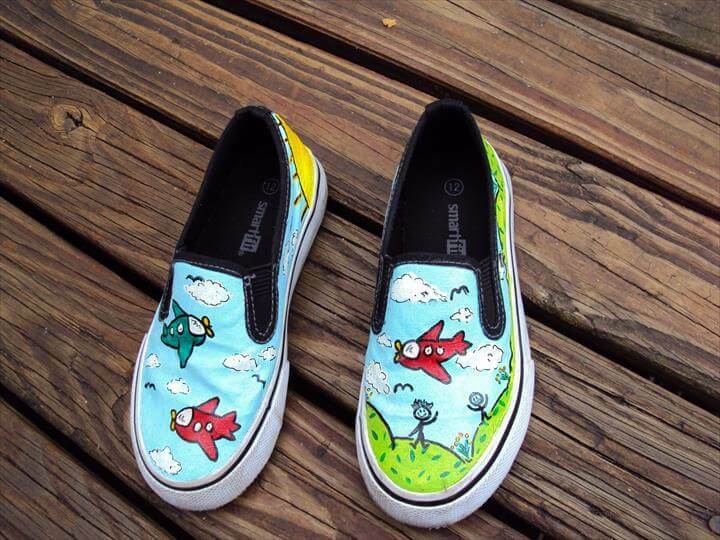 You can paint your favorite cartoon images like Tom and Jerry, flowery patterns, or glitter them up for a spark touch. Wearing these lovely restyled shoes or sneakers with your regular dress up would really add a cool factor to your personality. So hurry up to browse the ideas and see them all to select the one you liked the most and just get it started.